Starwood Asia Pacific Hotels & Resorts will open 30 properties in the region this year. These include 20 new properties in Greater China and 11 in the rest of Asia including India, Malaysia, Sri Lanka, Singapore, Indonesia and Thailand. Alison Taylor, senior vice president, sales for Asia Pacific, Starwood Hotels & Resorts Worldwide, said: "We are not only expanding our portfolio in the region, we are also strengthening as well as broadening our offerings in key MICE destinations. "This means that event planners are assured of a Starwood property and meeting space that will suit their needs wherever they hold their event." W brand debuts in Mainland China with the opening of the 317-room W Guangzhou in March 2013. The hotel has nine meeting spaces, the largest measuring 638sqm. Meanwhile, W Guangzhou will open its doors, featuring more than 1,000sqm of event space and studios. The Great Room, W Hotels’ version of the ballroom, offers 638sqm of event space that can accommodate up to 900 attendees. The largest Aloft-branded hotel in the world – the 482-room Aloft Kuala Lumpur Sentral – opens in March 2013. The hotel will have a ballroom measuring 780sqm and six other meeting rooms with a combined total of 369sqm. With the opening of the 407-room W Bangkok in March 2013, Bangkok will have nine Starwood properties offering a combined total of 3,365 rooms. The Starwood-managed Bali International Convention Centre (BICC), which is adjacent to The Westin Resort Nusa Dua, is currently undergoing a US$4m facelift, which will be completed by April 2013. The renovations include upgrades to all the public spaces, meeting rooms and IT capabilities. The opening of the 306-room Sheraton Colombo Hotel will mark Starwood’s entry into Sri Lanka. Scheduled to open in September 2013, the property will feature eight function rooms with a total 1,500sqm in meeting space, including a 600sqm Grand Ballroom. 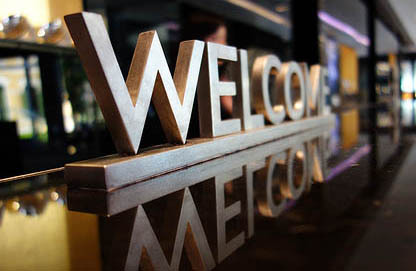 The Westin brand will re-enter Singapore with the opening of the 301-room The Westin Singapore in November 2013. Its six event spaces include two ballrooms, totalling 1,170sqm. The new Sheraton New Caledonia Deva Golf Resort & Spa is slated to open in December 2013, responding to the recent industry trend toward Australian corporate guests visiting the island nation for business events and meetings. The hotel will offer 490sqm of meeting space as well as 180 guest rooms, including 60 bungalows, health club and spa, and business centre.